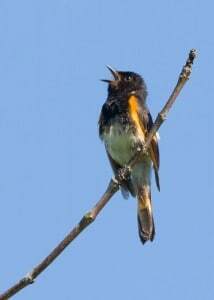 One of my greatest pleasures in May is the welcome sight and sound of songbirds returning right on cue from their southern wintering grounds. 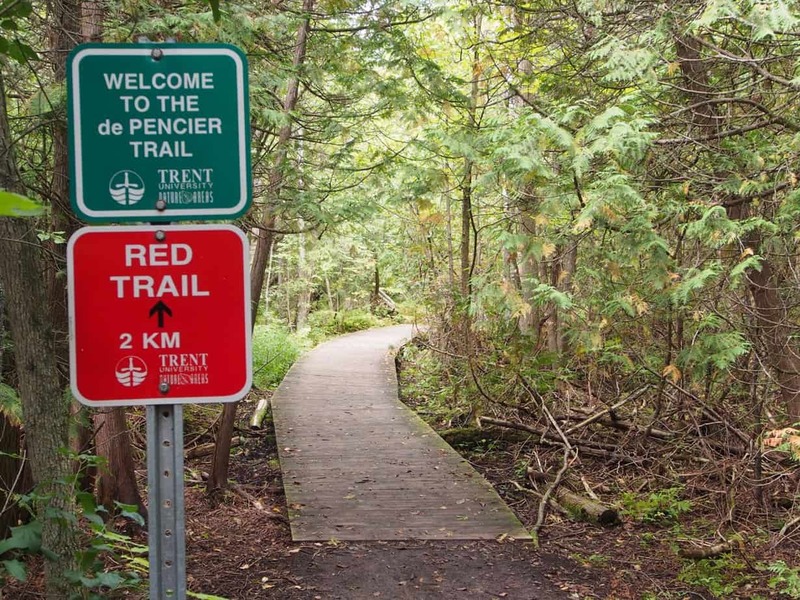 I was therefore delighted to hear a northern waterthrush belting out its emphatic double-note song at the start of the de Pencier Trail at the Trent Nature Area this week. Having seen these brownish warblers in winter in the mangroves of Costa Rica, the wonder of their annual two-way journey never ceases to amaze me. This month sees the biggest push of spring migration with the arrival of nearly all long-distance (neo-tropical) migrants – birds that spent the winter in the Caribbean, Mexico and Central and South America. It is possible to see more species at the height of migration in May than at any other time of year. An elegant synchronicity of events occurs this month. As the green canopy of leaves develops overhead, countless caterpillars emerge to feast on the verdant bounty laid out before them. And, right on cue, millions of birds pour into central Ontario to regale themselves of this insect banquet. While some species will remain to raise a family here, others pass through quickly as they push forward to northern nesting grounds. For thousands of years, bird migration stumped the greatest minds. People used to believe that hummingbirds migrate on the backs of geese and that swallows emerge in spring from the bottom of ponds. Today, scientists have a much better understanding of this fascinating phenomenon, although much still remains unexplained. 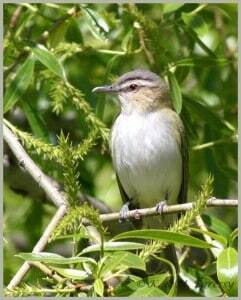 Most bird species migrate at night when there is less danger from predators and the air is more stable. The daylight hours are used for feeding and resting. If conditions are favorable, such as with the passage of a northward-advancing warm front, birds will start migrating about one hour after sunset. Songbirds such as the waterthrush usually fly at less than 200 metres and average speeds of about 25 kilometres per hour. Changing weather conditions during the night can cause “groundings” of these nocturnal voyagers. When a northward moving warm front collides with a cold front, the warm air – and the birds in it – rises over the cold; the air cools, rain develops and the birds are forced to land. This means that rainy May mornings can produce superb birding. Birds use a variety of navigational cues to find their way, and different species rely on some cues more than others. 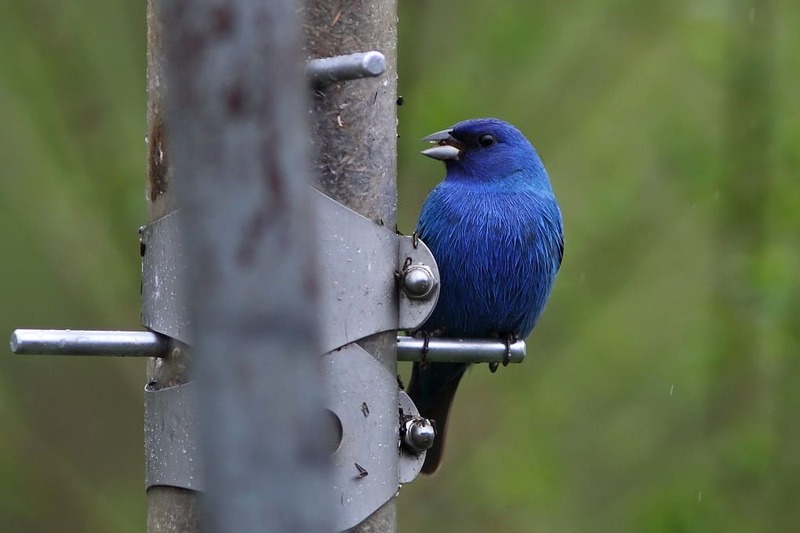 Indigo buntings, for example, appear to orient themselves in relation to the pattern of stars around the North Star, Polaris. To navigate by stars, birds require a clear view of the sky. However, many birds migrate below cloud level, which begs the question of what “GPS” they are using. Researchers now have conclusive evidence that at least some migratory songbirds are able to get their bearings from the Earth’s magnetic field. The Earth is like a gigantic magnet, with magnetic field lines extending between the magnetic north and south poles. In 1984, it was discovered that the nasal tissues of birds such as bobolinks contain magnetite. This magnetic mineral acts almost like a miniature compass needle. It is thought that birds may actually be able to see the magnetic field as a visual pattern or specific colour. The northern waterthrush may in fact see north and south as a shade of blue, for example, but perceive no colour at all when facing east or west. When songbirds cannot rely on stars or the magnetic field for direction, they may turn to information from the position of the setting sun on the western horizon. They may also align themselves to the band of polarized light, which extends perpendicular to the setting point of the sun. Invisible to humans, polarized light is created when sunlight scatters as it passes through the atmosphere. Just as the sun’s location changes with latitude and time of year, so does the position of the band of polarized light. These cues can therefore be used by birds to determine direction. Polarized light is visible to birds even when the sky is completely overcast. Other directional signals may exist as well. They include infrasounds – sounds whose frequency is below the normal limit of human hearing, such as the roar of the ocean surf or the sounds of winds across the mountains. Wind-carried odors like the smell of certain types of vegetation may also provide useful information. 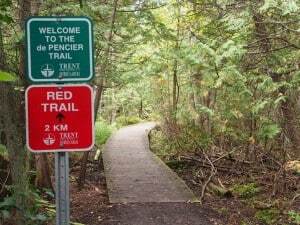 Therefore, it may be that the waterthrush I heard this week “remembers” the specific smell of the de Pencier Trail wetland at Trent. The incredible accuracy of these navigational cues allows birds to return to the same summer and winter territory each year – maybe even the very spot where they hatched as chicks. This is especially true for songbirds like warblers. So, I make a point of saying “Hi! You’re back right on schedule!” to the waterthrushes at Trent each spring (when no one is listening, of course!). They were probably the same birds as last year. Technology now plays a major role in monitoring nocturnal bird migration. Weather radar, for example, reveals the tell-tale signatures of migrating birds. The radio waves sent out by Doppler radar bounce off birds and return a signal to the receiver. The numbers can be staggering. It was estimated that somewhere in the order of three to four million birds crossed a line between Cornwall and Granby, Quebec on the night of April 15, 1994. A new visualization tool for radar data even reveals birds’ nocturnal journeys as blue streaks that sweep across a map like raindrops on glass. Many migrants make soft chirps, tweets and buzzes as they fly overhead under cover of darkness. The sounds, which are unique to each species, may serve as a way to maintain in-flight associations and stay on course. On a good night, it is possible to hear hundreds of these faint vocalizations and, with practice, put a species name to some of them. Now, the sounds are being captured by specialized microphones and other acoustic monitoring equipment that can record, analyze and identify the call makers. Across North America, such monitoring is allowing both research scientists and citizen scientists to discover everything from what species are flying over the backyard on a given night to how migrating birds interact with the landscapes around them. This is important information, since at least 70 percent of birds migrating to and from Canada fly over urban landscapes and many are attracted to blinking communications towers and illuminated skyscrapers. The mortality that results from collisions with these structures can be staggering. Data from acoustic monitoring can therefore be used to identify high-threat and low-threat zones in urban areas, and measures can be taken to help birds migrate successfully. 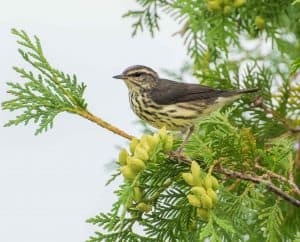 Why would a neo-tropical migrant such as a waterthrush have evolved to undertake a dangerous 6000 km journey from Costa Rica all the way to the Kawarthas and back? The short answer is that it allows them to raise more young. 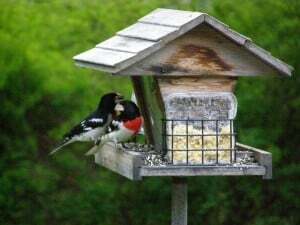 Protein-rich insects are abundant during the Canadian spring and summer, there is a much more habitat available and the long days allow birds to feed their young for up to six hours longer than if they had stayed in the tropics. By flying north in the spring, they also free themselves from competition for food from tropical resident birds. Using data from weather surveillance radar and eBird checklists, it has now been determined that climate change is causing the seasonality of bird migration to shift. Many birds are arriving at their northern breeding grounds earlier in the spring. This seems to be especially true for temperate migrants like robins and tree swallows, which overwinter in the southern U.S.
You don’t have to go far afield to see neo-tropical migrants such as warblers, vireos, flycatchers, orioles, tanagers and grosbeaks. As long as there is sufficient cover, even city backyards can have their own coterie of migrants. Habitat edges such as wooded roadsides are especially worth checking. Get out early, however, preferably before 8 a.m. Keep an eye on the weather forecast, too. Winds from the south usually bring in the most migrants. The largest concentrations generally occur when these south winds are met by some change in the weather such as light rain or drizzle. Even a passing line of local thunderstorms can result in a surprising array of species. By visiting different habitat types, an experienced birder can usually record 80 or more species on a single morning in mid-May, including 10 or more kinds of warblers. Don’t just rely on your eyes. Be sure to track down any songsters you hear uttering a strange vocalization. Be sure to pish, as well, since warblers are quite responsive to these sounds. If you’re not quite sure which migrants are arriving when in the Kawarthas, visit my website at drewmonkman.com and click on the “Seasonal Bird Abundance” tab. Most of the better known species are listed here.